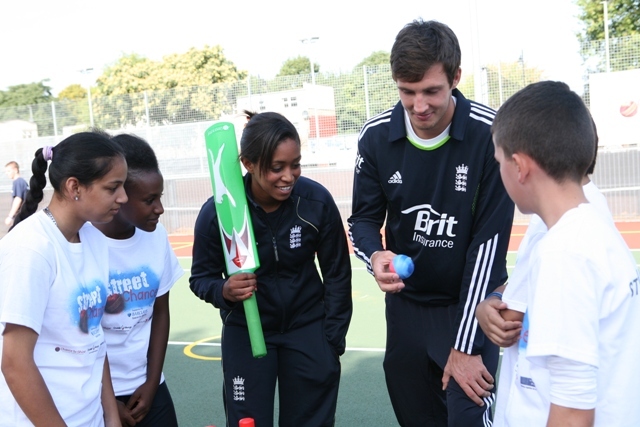 Ebony’s introduction to cricket came at the tender age of 10 through the London Community Cricket Association aiming to get inner city schools engaged in cricket. With a personal understanding on how sport can change lives, Ebony’s passion for sport and using sport for social impact has seen her dedicate nearly 10 years of her life to be involved with charity work. Ebony is now a trustee of the England and Wales Cricket Trust (EWCT) and has worked closely all the major cricketing charities, being amongst the first Chance to Shine female ambassadors for the Cricket Foundation and delivering female empowerment workshops in Bangladesh with Cricket for Change in partnership with the ICC and UNICEF. Ebony is also an ambassador for Beyond Sport and WASH United. Ebony has worked across the UK first hand both in schools and clubs, coaching and speaking to thousands of young children to inspire them to engage with sport and the benefits into their lives. Internationally she has also been involved in projects in India, Bangladesh and Central America. Ebony, now at The Lords Taverners, the UK’s leading recreational cricket charity, strategically designs national cricket programmes to engage disabled and disadvantaged children to use cricket and sport to impact their health, self esteem and create opportunities. Ebony’s vision is that young people from underrepresented groups – socially disadvantaged, disabled and girls – get the equal opportunity to play sport and enhance their life prospects.